Nurturing each child in the love of Christ and fostering quality learning in a warm, caring environment. It is time to enroll for 2019-20 school season. This gives you the opportunity to re-enroll your child that is currently in our school and also an incoming sibling. If the younger sibling is not 3 as of September, but you are wanting to enroll them in the future, please let me know by filling out information on them as well. I am giving our alumni first opportunity to enroll in the future as well. Please place these items together with paper clipped or in an envelope. The registration fee is the only fee due at this time. Your September tuition is due in August if you choose to pay monthly by check; however, if you choose to sign up for auto-pay, then your September tuition will come out September 1, 2019. (if you prefer that option, then please return the auto-pay form completed with your registration form). 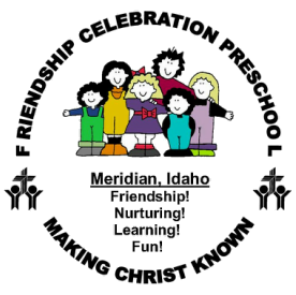 Please feel free to stop by our preschool anytime or contact me to set up a tour.